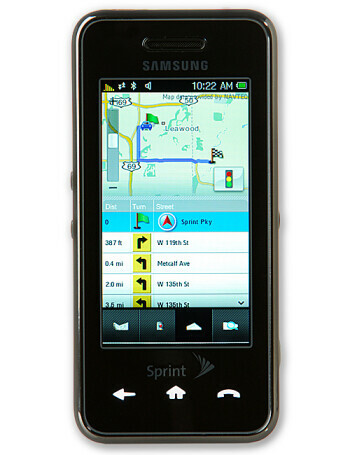 Samsung Instinct is characterized by its large, high-resolution touch sensitive display and only a few keys on the front side. 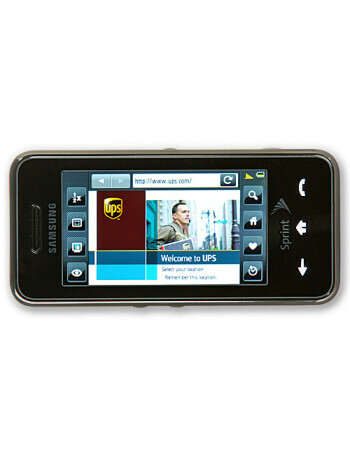 It is CMDA/EV-DO phone with 2-megapixel camera, microSD slot and Stereo Bluetooth. 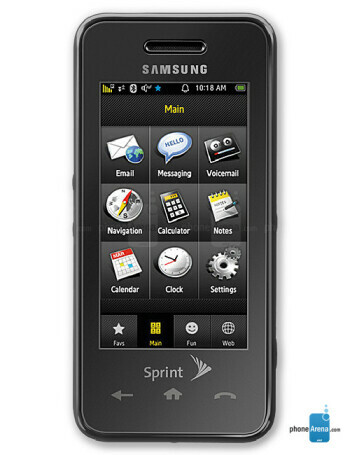 Unlike the Glyde for Verizon it doesn't have QWERTY, but is slimmer. 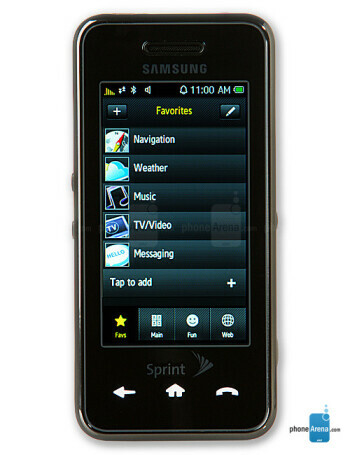 Do you recall when the Samsung Instinct challenged the Apple iPhone in these ads?